Each Tuesday on our Twitter account (@3ptproductions), we post a #TuesdayTip relevant to the sports entertainment industry. Our goal is to share best practices with game directors, producers and stage managers across the country. Sometimes the best way to lead your fans, is by example. Make it a tradition amongst your game day staff to participate in activating a theme. Have fun with it. Creativity becomes infectious. The photo attached is a throwback of the entertainment staff at a Seattle Sonics "90's Night". As part of the 40th Anniversary Season, we celebrated each decade with a theme night. Get familiar with player personalities far in advance of video shoots. It never hurts to experiment a little but with proper preparation, you can be more effective with your casting of roles and gain the trust of the personalities you're working with. Every summer, somewhere in America, a baseball team unveils a fresh and extraordinary new stadium feature that raises the bar for must-see fan experiences. Though more common in baseball stadiums, challenge yourself to look at areas of opportunity within the confines of your arenas or stadiums and dream big. Create something nobody has ever seen before and they'll want to come see it. #TuesdayTip Playoff & Championship games should have a soundtrack of their own. Make sure your #SportsDJ themes tracks to build atmosphere. When soundtracking a playoff or championship, an extra level of detail is required on song selection from the DJ. Ensure that every song played is played with purpose as the audio selections should match the tone and seriousness of the game. Choose tracks that highlight energy and make you feel like something epic or grand is about to happen. Each Tuesday on our Twitter account (@3ptproductions), we post a #TuesdayTip relevant to the sports marketing and production industry. Our goal is to share best practices with game directors, producers and stage managers across the country. Utilizing the 6-minute halftime performance window is probably the best opportunity you have to provide added entertainment value for your fans. Whether you're booking the hottest halftime acts in the country or booking a local favorite, there's no better way to train your fans to expect the unexpected than by surprising them with unique and engaging entertainment that they don't expect when buying their game ticket. Provide an experience that will have fans talking about the performance after the game whether the home team won or lost. Don't underestimate the impact of adding entertainment features to your gameday experience. Utilizing the timeout horns as prompts not only gives your DJ, emcees, PA announcers and performers an audible cue to work off of, it also provides enough audio coverage to make a big, abrupt audio transition to effectively "bump" out of a late game timeout and foster a large crowd response. #TuesdayTip Be conscious of your soundtrack game-to-game over long home stretches, make sure your #SportsDJ keeps each game sounding unique. One way to ensure your DJ is playing a wide variety of tracks is to print out what we call a "Game Director's Audio Guide". This guide outlines the music bank you have cued in the system for different scenarios within your game presentation. This is a good way to provide your DJ an "approved" list of songs to play if you feel the need to monitor them. After building your cued list, share and use the guide as a resource for you and your DJ. Unless you're budget blessed and operating off iPads, a resourceful method is to print, laminate and use a dry erase marker to check-off songs that you've played throughout a home stand. This will give you a guideline as to what has been played at recent games and what's still fresh to fans. After each home stand, wipe your marks clean, maybe add some newly released tracks, refresh some of your library and start again! 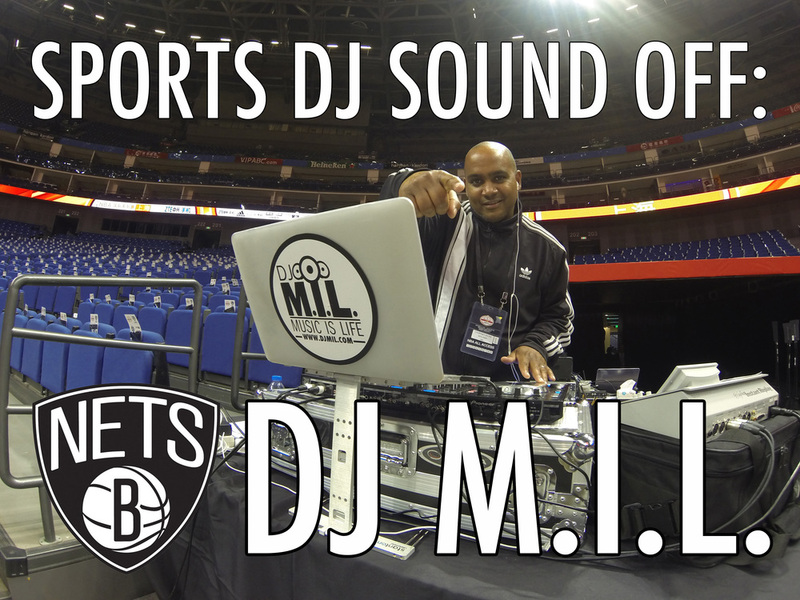 Find more #SportsDJ tips here. As many of you know, I'm a HUGE fan of Fan Cams. This example was a favorite of mine that I saw online, which celebrates men's health month, the "Movember" themed "Mustache Cam". Understand there is a small shelf life for this Fan Cam, but it can be very relevant and timely when executed properly. As the tip suggests, don't whip out the Mustache Cam too early in the month, give those mustaches plenty of time to mature. Every December I hear people concerning themselves over gift ideas, and why? It's silly and the answer is simple. Next time you're struggling with a gift idea, think of a sporting event, concert, festival or any variety of events that you can provide someone a memorable experience to. Some of my fondest memories growing up are event experiences that I shared with loved ones. So drop the gift card and give the gift of experience. Use a gift as an opportunity to turn moments into memories of a lifetime. The moment I saw this tweet from ESPN's Darren Rovell, I stopped in my tracks. This signage usage by the Philadelphia 76ers needs to be recognized as a best practice. Not only did this signage stand out, it totally nailed the theme of night as they celebrated the passing and career of one of the NBA's most noted personalities, Moses Malone. The signage couldn't have been placed more appropriately, on the stanchion, in the paint, below the basket, where Moses made his presence most felt throughout his career. A tip of the cap to the 76ers for a very well executed use of signage on a theme night. This tip may seem the most elementary of this entire recap but it's still shocking to see how many organizations fail to come together on event day for a all-in production meeting. At 3 Point Productions, we aim to run a production meeting roughly one hour prior to venue doors opening in which we outline every single detail of the event or game presentation. Learn more about how we do what we do, here. #TuesdayTip Give traditional #GameOps #FanExperience features a holiday twist. For example, redesign a 'Kiss Cam' as a 'Mistletoe Cam'. Similar to the aforementioned Mustache Cam, here's a holiday Fan Cam favorite of mine. Here's an additional tip, be sure to have your DJ theme the song appropriately (i.e. "Mama Kissing Santa Clause"). Add a simple graphic frame and Ho Ho Ho, you have Mistletoe Cam. #TuesdayTip At the end of each season, recap w/ your production crew to diagnose areas of opportunity & improvement with your presentation. Again, this tip may seem elementary, but don't miss the boat, be sure to plan post-season meetings as early as possible to ensure you capture fresh and robust feedback from your staff.